We added an easy to use shortcode customizer for this plugin. 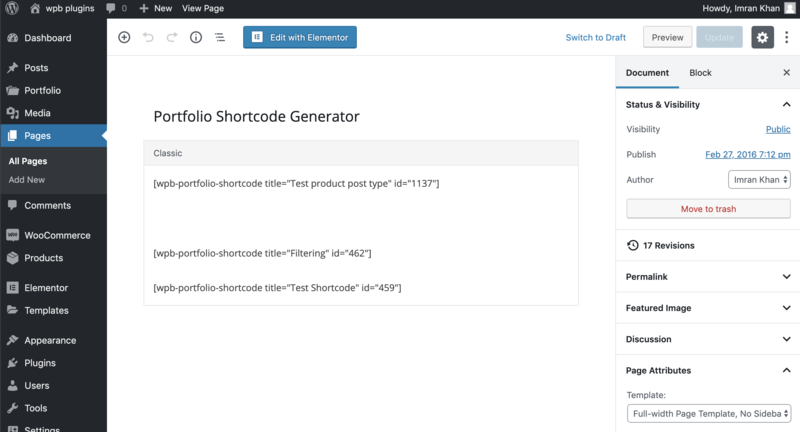 It allows you to generate multiple customizable shortcodes and show the shortcodes different pages on your site. 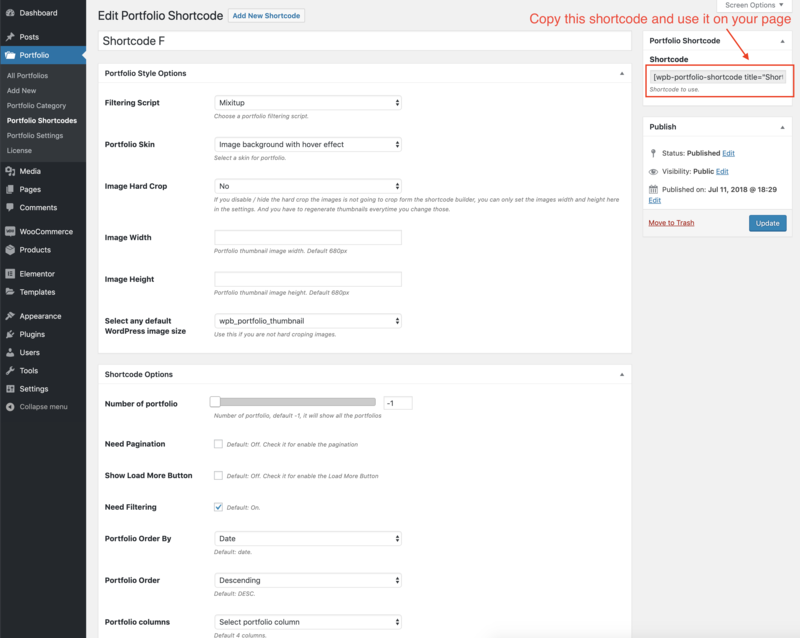 In order to add a new portfolio shortcode go to your site admin > Portfolio > Portfolio ShortCodes > Add New ShortCodes. Here you see all the customization options and the shortcode to use. 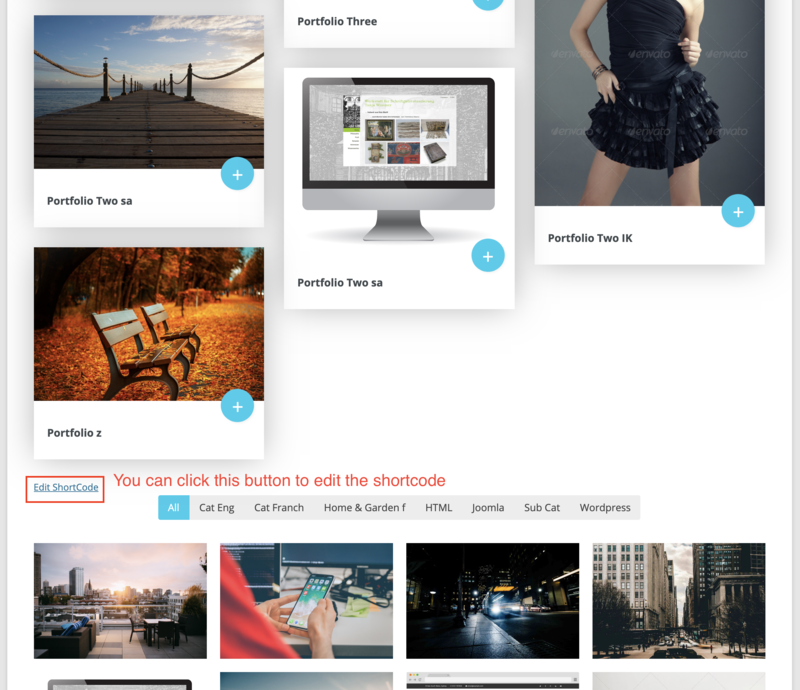 All you have to do is, customize the options as your requirements and hit the publish button. Then copy the shortcode and put it on your page. Also, you can edit the settings at any time and update the shortcode.